Reading the Bible Daily is an important practice in the spiritual life. It is God speaking to us through His Word. The Bible is a living and breathing book. In other words, the Bible was written thousands of years ago, yet it speaks to us and every situation we face today. It is essentially a handbook for how we are to live our life. There are various approaches you can try listed below. If you need further guidence, please contact us. Then, as a result of the encounter with God in Scripture, we are also called to Actio (action). Each of these steps together form a process by which we encounter God in his sacred word and respond to his grace. They form parts of a larger whole, but each one comes with a certain set of skills for our us to master. Let’s look briefly at each step. 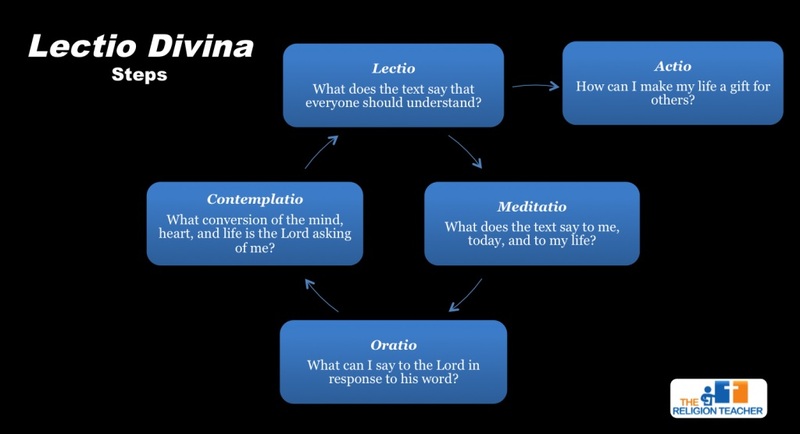 In the first phase of lectio divina we understand what the passage we are reading says in itself. This is the literal meaning of the Scripture passage and the lessons everyone should recognize in reading it. At this stage we do not yet consider our own lives in connection with the Scriptures. We do not let our opinions influence our reading, but seek to understand the message of the passage as interpreted by the Church independently of anyone’s opinions. This phase is summarized with the question: What does the text say that everyone should understand? In the meditation phase of lectio divina, we ask, what does this text say to me, today, and to my life? We allow God to pull up certain memories of people, places, and events in our lives that relate to the passage we are reading. Meditation is also an opportunity to see ourselves in the text. We can consider our own feelings as if we were a participant in the text or try to understand what it would be like to be one of the people represented in the text. In this way we come to a deeper appreciation of how God is working in our lives through the sacred word. Having entered into the story ourselves, we can return to the present and consider the areas in our own lives that God is calling us to contemplate. 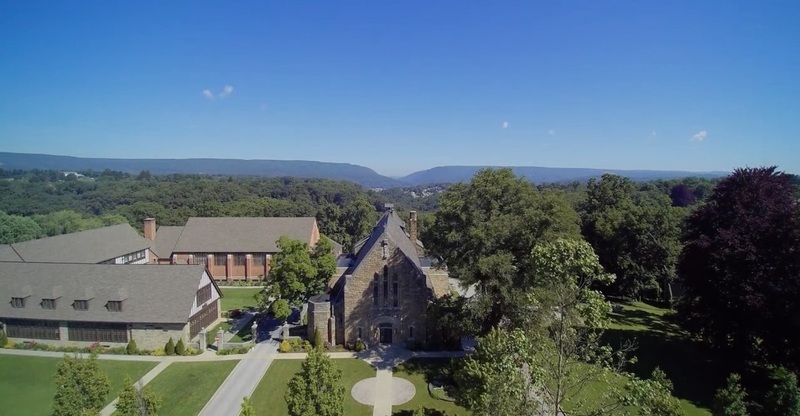 Through a meditation on Scripture, we experience an intimate encounter with God that leads us to respond in prayer. Having met our Lord in his holy word, we courageously speak to him in our own words. In this way we consider prayer to be a simple conversation with God. It is a conversation that comes in various forms: we ask petitions (or requests) of him, we give him thanks, and we give him praise. We might also ask for the intercession of Mary or the saints represented in the passage we read. At this phase we can ask ourselves: What can I say to the Lord in response to his word? A true encounter with the Lord always leads to transformation. Indeed, the Lord God proclaimed, “Behold, I make all things new” (Revelation 21:5). Through contemplation we come to an understanding of the parts of our lives that need to be transformed by God’s grace. We humble ourselves and open our lives up to his transformative power. This step comes with the willingness to change, an openness and trust in God, and the decision to follow God’s will rather than our own. With this decision comes a fear of losing what we find comfortable and safe. At the same time we feel the excitement of a call to heroic adventure and a hopeful future of living the life we are meant to live. At this step in the lectio divina process, we ask ourselves: What conversion of the mind, heart, and life is the Lord asking of me? Finally, although this phase is often not considered to be a part of lectio divina proper, it is an essential result of the encounter with God in Sacred Scripture. As Pope Benedict XVI wrote in Verbum Domini, “We do well also to remember that the process of lectio divina is not concluded until it arrives at action (actio), which moves the believer to make his or her life a gift for others in charity” (no. 87). Having received God’s love and grace, we go forth to serve others out of the love we have been given. Our transformation calls us to witness to others; it calls us to selflessly serve our brothers and sisters in Christ. These acts are done not so much out of a sense of duty, but out of the inspiration we receive from the acceptance in faith of God’s love. Download the worksheet to use for this method - here! 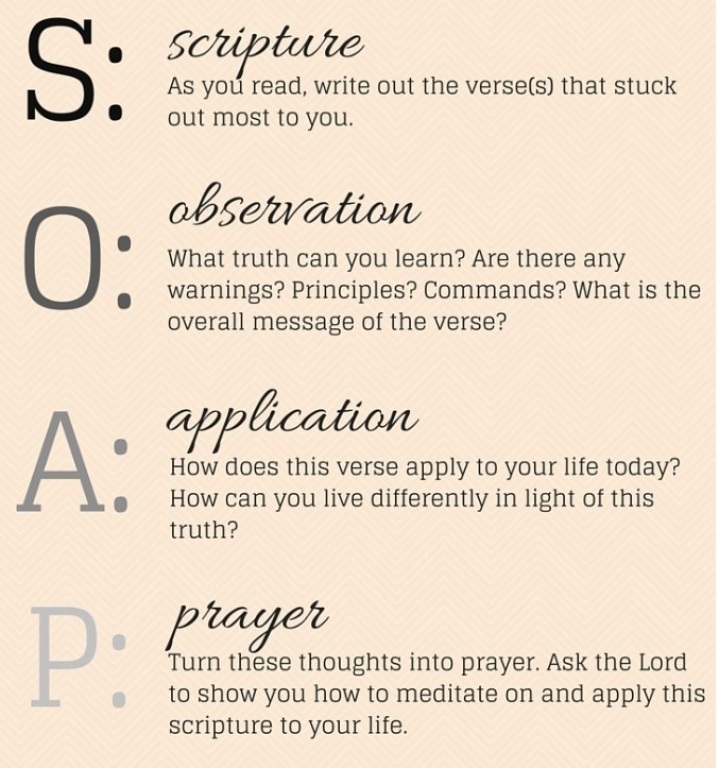 Download your worksheet, choose what scripture you want to focus on today, use the prompts below as you work through the scripture. 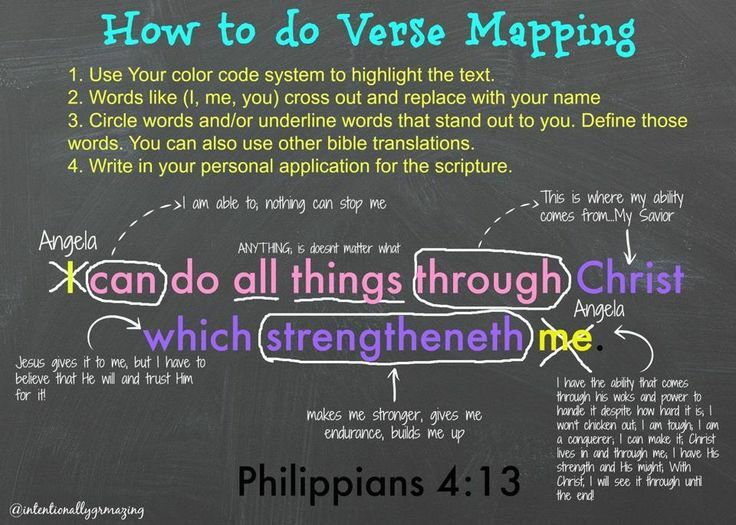 Explore – Look up related verses that were referenced in your Bible and write one or two of them on the right hand side of the paper and/or write something else you discovered that helps explain the verse a little better. Search the Word List in the Concordance to find the Hebrew/Greek reference number for each word you wish to define. List the number beside the word and then search the Hebrew/Greek Dictionary to find the definitions of the words. Write the definition(s) or synonyms on your paper. Rewrite the verse using the definitions under the original verse. Write out a Nugget (Takeaway) from that verse. Pray and ask the Lord to continue to use this verse to speak to you throughout the day.